Add a touch of mystery and intrigue to your stag outing with a swim through an authentic Smuggler’s Cave where years ago contraband would be secreted until it was safe to transport it inland. 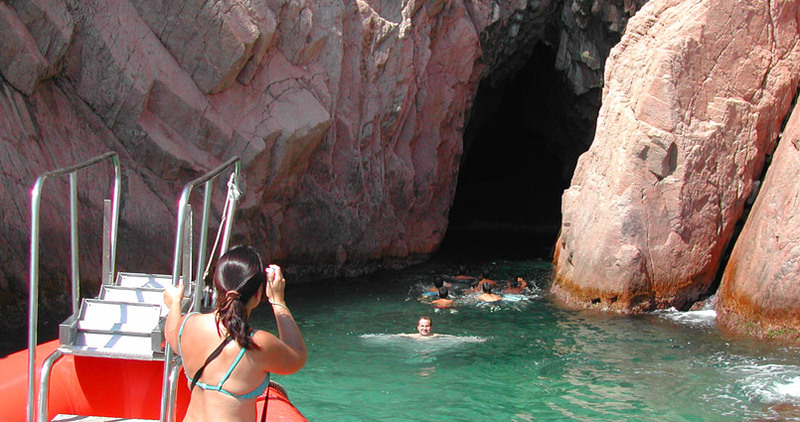 Climb aboard the thrilling powerboat for a whirlwind tour of the rugged Costa Brava and just as you catch your breath from the hairpin turns, the boat will drop anchor at a fascinating cave. This is where, sea conditions permitting, you can jump ship and swim through the crystal clear waters to the cave's entrance. Once there, your guide will illuminate the way with a torch light. Everyone swims in single file behind. After some climbing, you are inside the cave, where you can experience the enchantment and captivating atmosphere, and of course take as many photos as you wish with your waterproof camera. Perfect choice for your adventure weekend in Spain, teambuilding in Spain or school group activities on the Costa Brava.